A busy start to the New Year with a trip back to the UK. Midnight saw us somewhere over the North Western corner of Australia, and not a peep out of the PA system to say Happy New Year. We had a wonderful time seeing both our Dads and other family and friends. 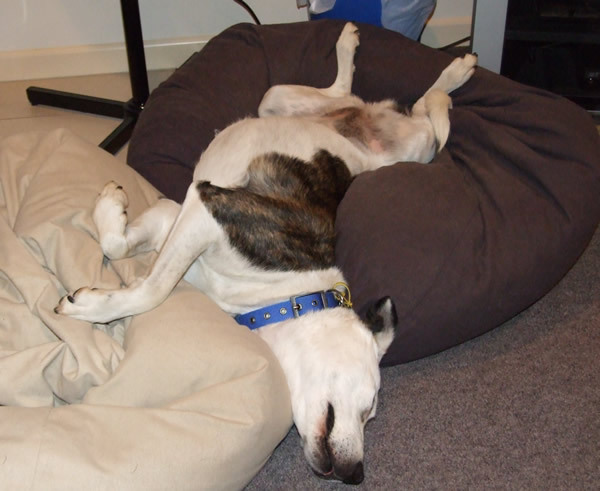 The traffic on the motorway was horrendous – we certainly don’t miss all those traffic jams in New Zealand. One thing we did love (and miss here in NZ) was listening to Radio 4. 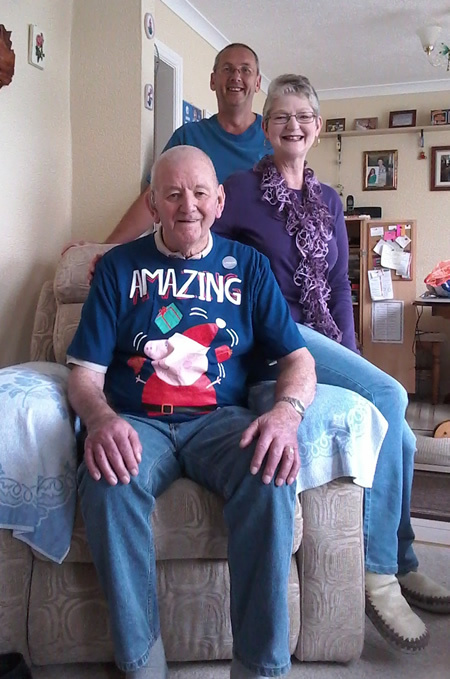 Ann’s dad sporting his new Christmas T-shirt from his granddaughter Lisa and great granddaughters Paige and Rhiannon. 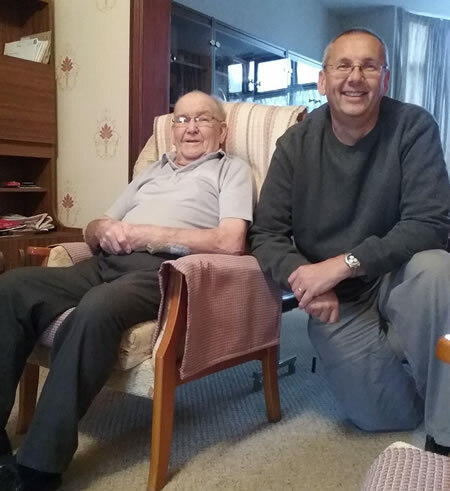 Peter and his dad having a good natter. 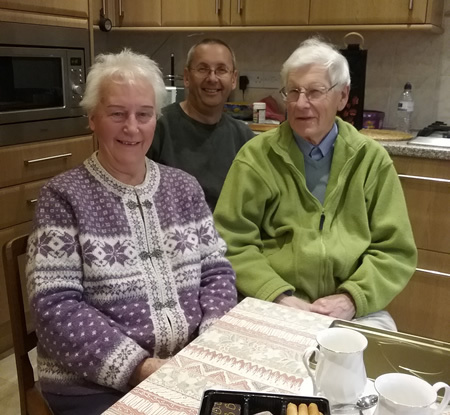 Peter with his aunt and uncle, Muriel and John. 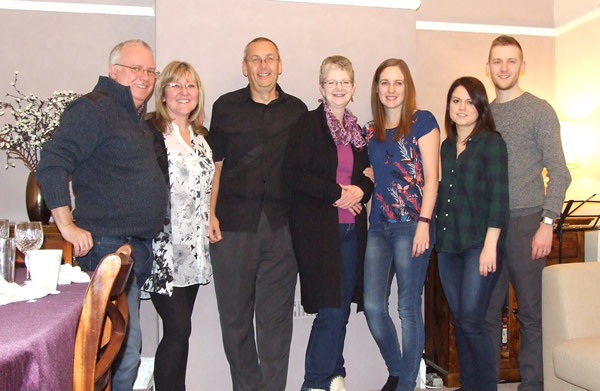 Four generations – Peter with his niece Mel, two of her sons, Reece and Arron, and Reece’s daughter, Aoife. 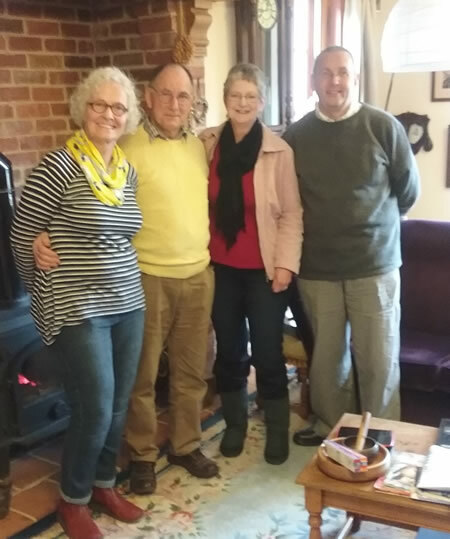 We also met up with old friends Lyn and Duncan (they visited us here in NZ only 10 months ago). Ann and her goddaughter Imogen having a chat about nursing. Ann and Teresa reminiscing about life as teenagers living in Cyprus. We also went down to South Wales to visit friends Shirley and Steve, Catherine, David and Victoria. 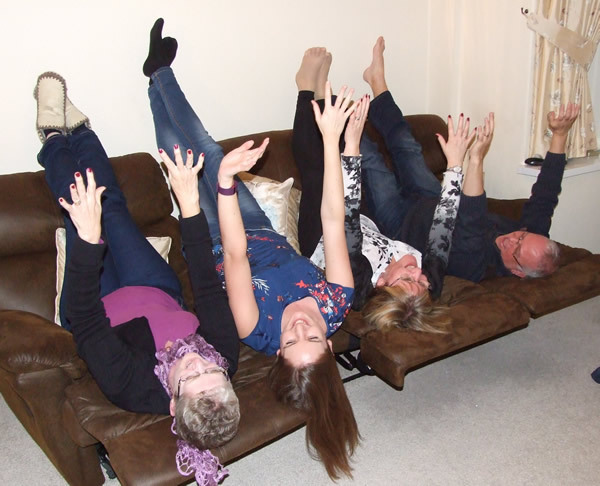 After a few wines we decided to re-enact one of our more bizarre fun times! 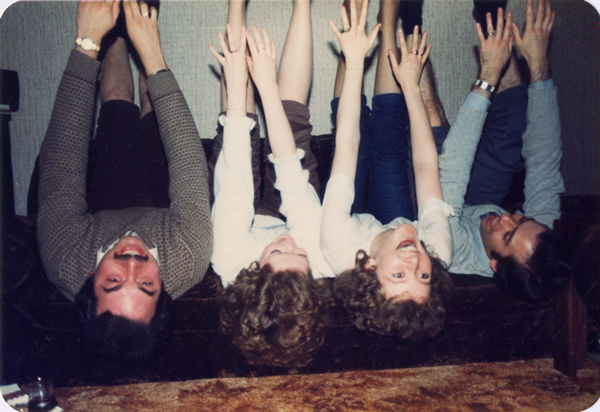 And here they were in 1983! 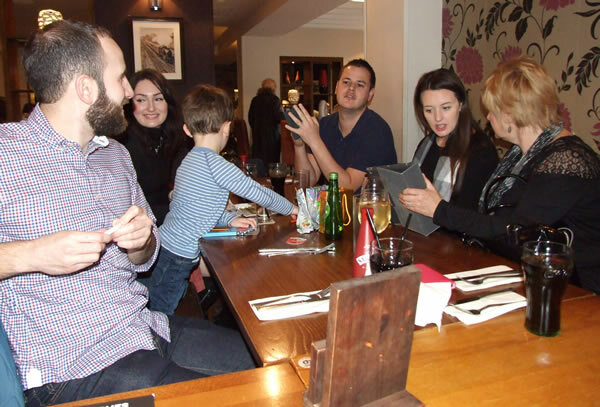 We also managed to catch up with family in Cardiff. Owen and Abigail, Sean, Vicky and Max with Ann’s auntie Shân. 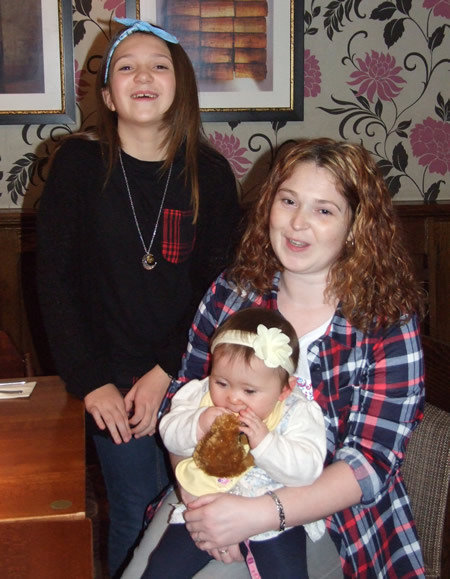 Ann’s niece Lisa and her daughters Paige and Rhiannon. 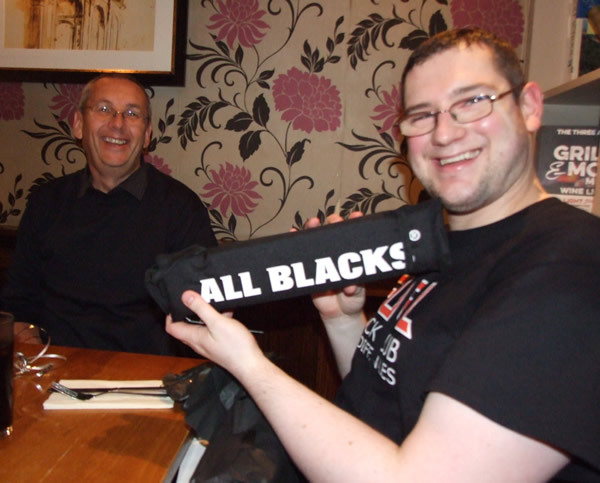 Ann’s nephew Mark is a great All Blacks supporter! 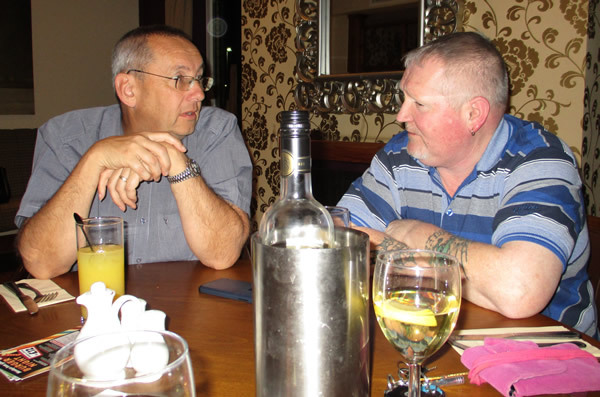 Peter and David discussing …… (who knows)…. but they look very serious. 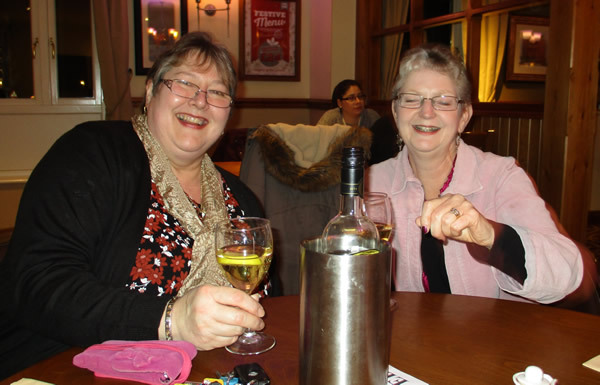 Whereas Carol and Ann know just how to have a good time! 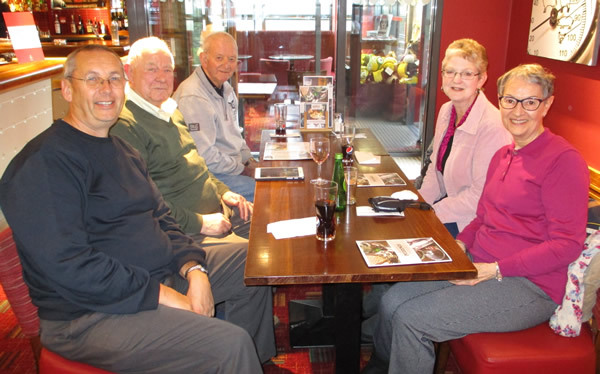 Our last full day and we joined Sue and Ron for a carvery lunch. Sue and Ann are very old friends from their nursing days. Peter was in seventh heaven – he hadn’t had a roast dinner in years. Besides visiting family and friends we also wanted to bring back some bonsai pots and stands. So first we popped over to Walsall to see David Jones at Walsall Ceramics and bought eight pots, then we visited John Pitt in Etwall and got another couple of pots. We then went to Hurley Common to see Barry Walker and acquired several bonsai stands and finally met up with Kath and Malcolm Hughes, had a lovely chat and came away with a load of bonsai books. We managed to wrap the pots and stands up really well and they survived the journey half way round the world in our suitcases – which is more than can be said for the suitcases themselves. Both were battered and broken, and one had the fabric torn across one side. Getting through the security gates at each airport was a challenge with Ann’s new bionic hips as they set off every scanner and checkpoint possible. Some airports were more considerate than others. At Heathrow on the way back to New Zealand they kept her standing, in the middle of the hall with her arms stretched out for almost 15 minutes whilst they scanned, rescanned, frisked and scanned her again and again! 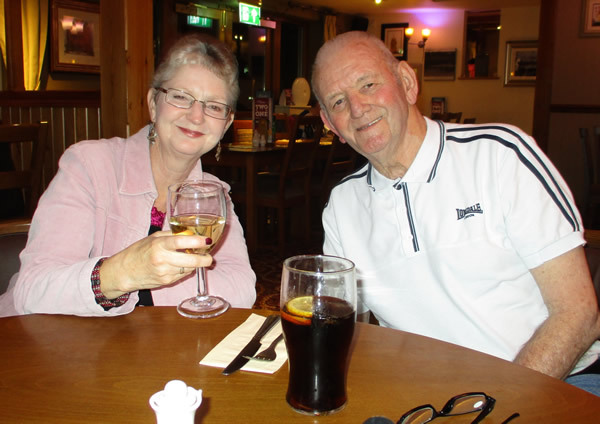 The weather in the UK was warm at first then miserable and wet so we were really glad to get back to warm, dry and sunny weather – although the last half of the month it’s been extremely hot and humid (30 degrees during the day and only dropping to about 20 degrees at night). 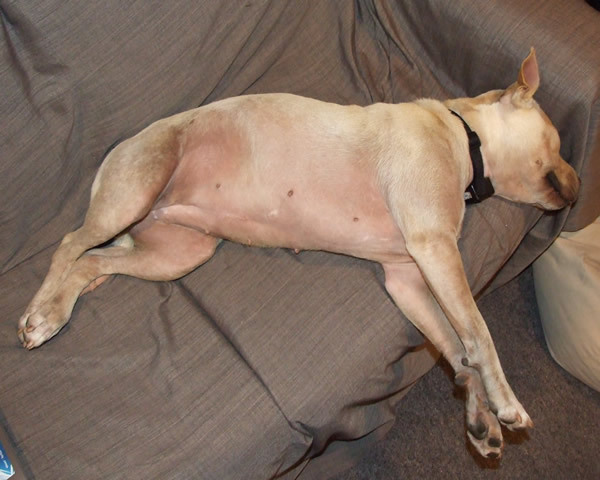 Although they enjoyed their holiday at the kennels the girls were very glad to see us and be home again. Last year Peter had to climb on the roof and put mesh all over the chimney pot to stop the birds falling down into the wood burner. 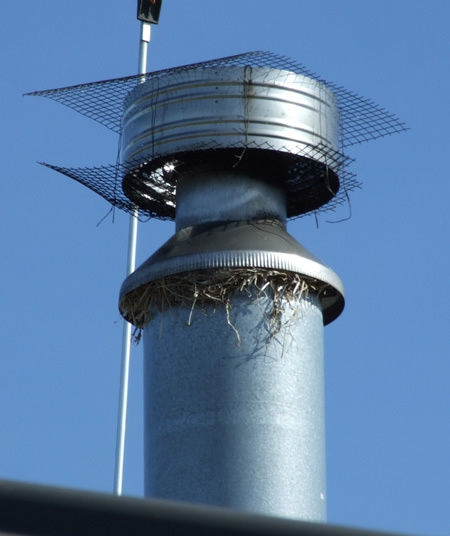 So now our lovely feathered friends have made a rather clever nest – all around the underside of the top of the chimney! Guess what Peter will be doing in the month before we need to start lighting the wood fire again?